ItemCUMB_987.018.199 - Mah Bing Kee of Chinatown, Cumberland B.C. Item CUMB_987.018.199 - Mah Bing Kee of Chinatown, Cumberland B.C. Mah Bing Kee of Chinatown, Cumberland B.C. 1 photograph; 1 glass plate negative; black and white print. 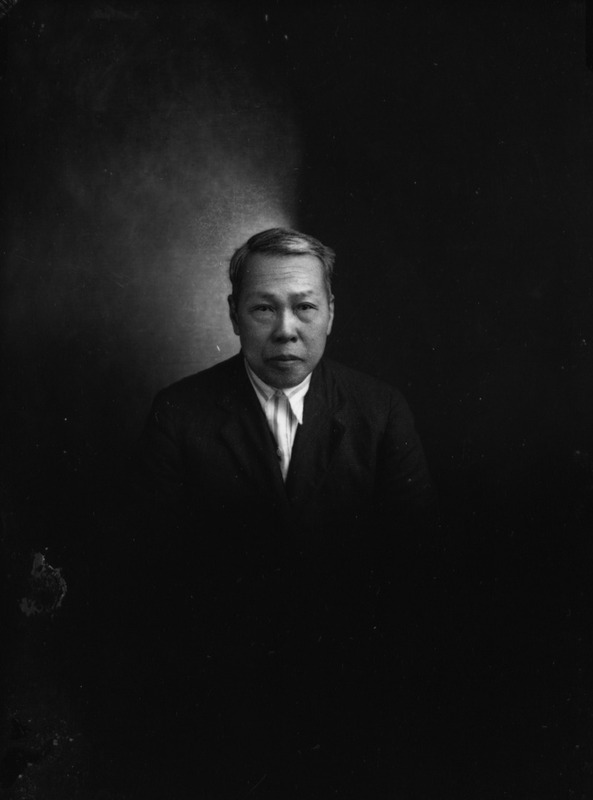 The person identified in this photo is Mah Bing Kee at approximately age 60. Kee owned a barber shop in Chinatown, Cumberland B.C.